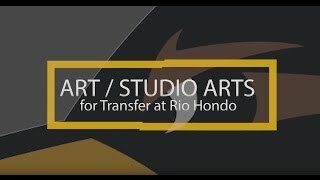 The Associate in Arts in Art/Studio Arts Transfer (AA-T) Degree is intended to meet the lower division requirements for Studio Arts majors (or similar majors) at a CSU campus that offers a Studio Arts baccalaureate degree. art educator, art therapist, gallery and museum curator, gallery assistant and art restorer. The CSU campuses offer a wide range of specialized bachelor’s degrees, including each of the studio arts as well as art education, art history, photography, digital arts and multimedia, graphic design and arts technology. Completion of a minimum of 60 CSU-transferable semester units. Achievement of a minimum GPA of at least 2.0 in all CSU-transferable coursework (some majors may require a higher GPA, students should consult with a counselor for more information). Completion of the 24 semester units in the major with a grade of “C” or better. Certified completion of the California State University General Education-Breadth (CSUGE) pattern; OR the Intersegmental General Education Transfer Curriculum (IGETC) pattern. NOTE: Students are advised to check with the Counseling Department or Transfer Center for the courses accepted into the Art major at the CSU where they seek transfer.